RD Sharma Textbook is based on the latest syllabus prescribed as per the CCE guidelines by CBSE. 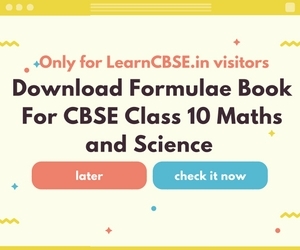 RD Sharma Class 10 Maths book is designed for students who come under the Central Board of Secondary Education (CBSE). RD Sharma solutions were designed in accordance with NCERT guidelines. The entire syllabus has been divided into two terms. Term 1 consists of Chapter 1 to 7 and Term-2 consists of Chapter 8 to 16. Detailed Step by Step explanation for each exercise. Complete answers for each question in RD Sharma Class 10. 1466 Solved Questions from RD Sharma Class 10th Mathematics.